These are the best biscuits you’ll ever taste. I’m not kidding…when you make your first batch you’ll be bowled over by your cleverness and how truly easy biscuits are to make. 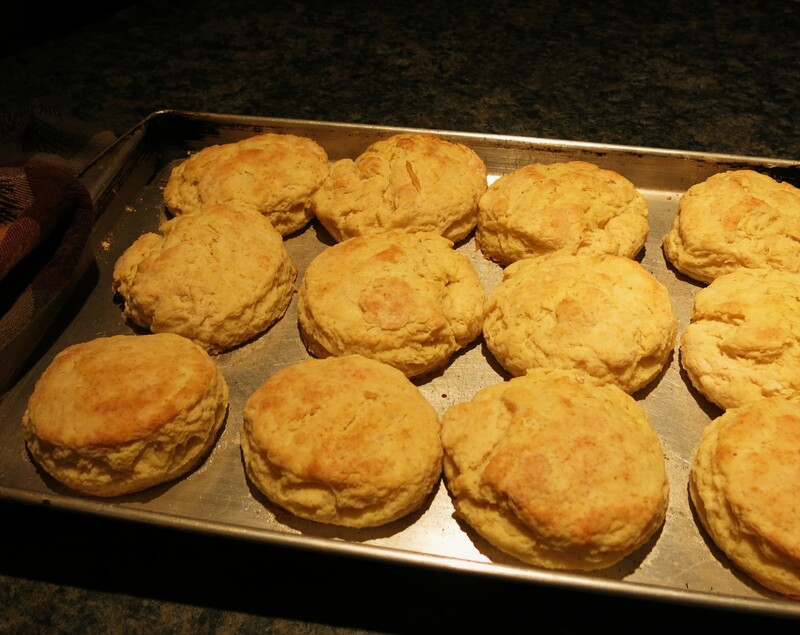 Biscuits are wonderful, hot out of the oven, with good butter and maybe some nice preserves or honey…mmmmm! But, they are also great as a base for gravy, as in biscuits and gravy. The Goddess believes that knowing how to make great biscuits is an essential skill to have in your life-skill basket. 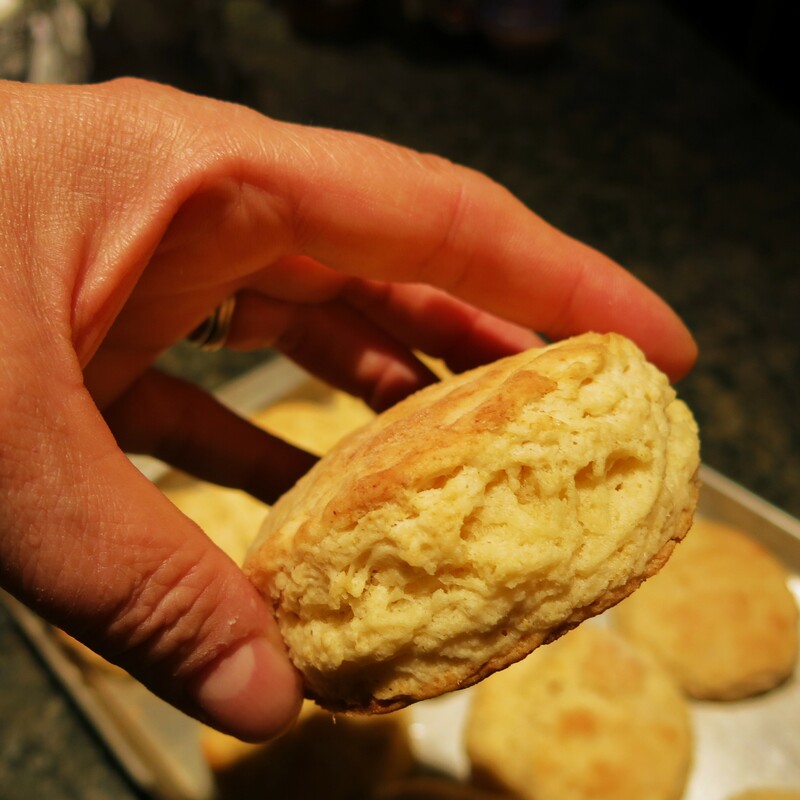 Biscuits go together quickly and easily, but you need to understand how the process works. There’s no magic or kitchen elves waving wands…if you’re seeing those, biscuits are not a priority! ♦ the shortening must be cold; 15 minutes in the freezer makes a difference in the biscuit…by the way, the same is true for pie crust. 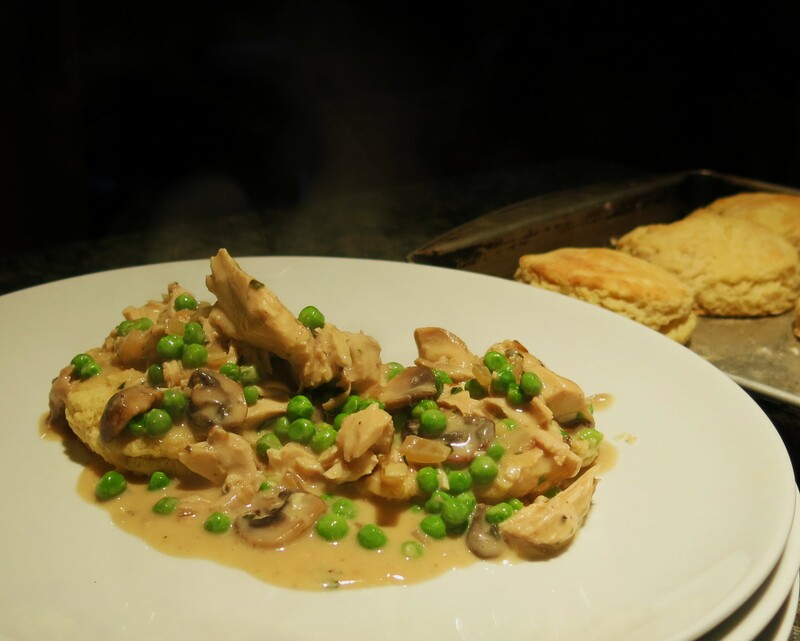 ♦ If you use Southern flour (White Lily® is one such brand), which is made from soft wheat and has a lower protein content (less gluten), the biscuits will be more tender, but less flaky than with regular, all-purpose flour. Do NOT use bread flour or they will be hockey pucks, not biscuits! 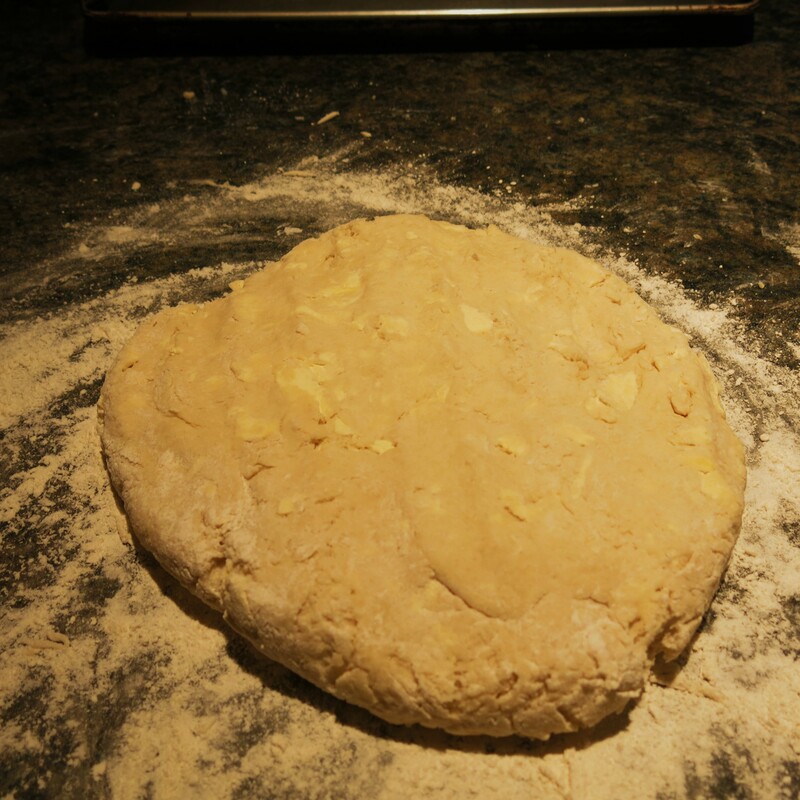 ♦ Do not over-mix the dough. You should be able to see the bits of butter and shortening in the dough. You can pat the dough out or use a rolling pin. Keep the dough no less than 3/4-inch thick. 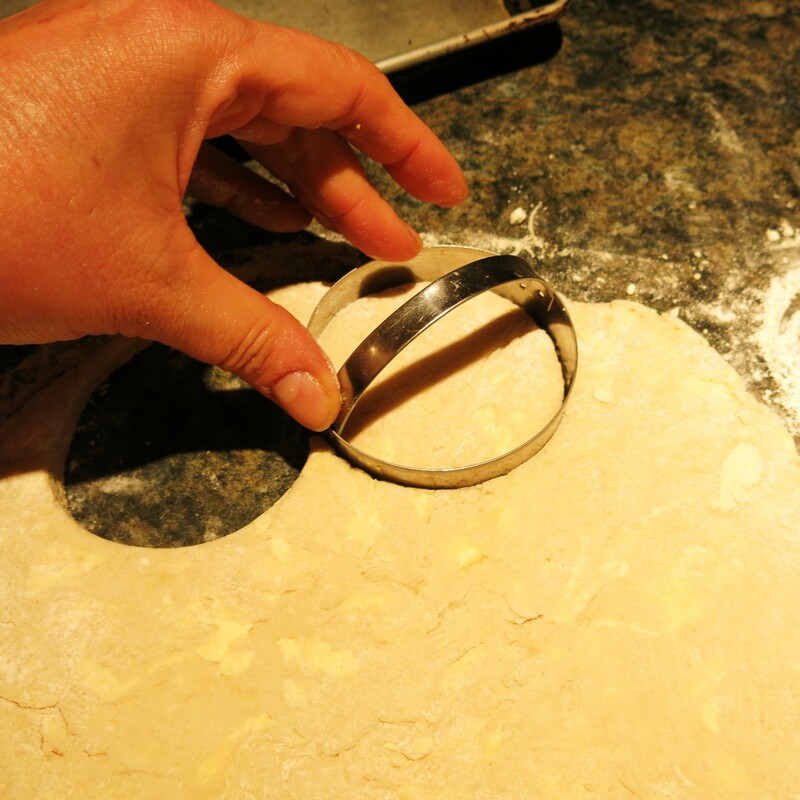 ♦ Remember to dip your biscuit cutter in flour between cuts. Cut straight down and do not twist the cutter. Your biscuits will rise higher is you don’t twist. ♦ Here the lovelies are all ready to go into the preheated hot oven. Usually I like to let them stand for at least 30 minutes after I cut them, but The Youngest One was starving and we don’t want that! Sift together the first 5 ingredients. Using a coarse grater, grate the margarine and lard into the dry ingredients. Using your hands, toss the mixture together. Add the milk all at once and mix, with your hands, into a ball. Do not handle the dough too much. Roll out on a very lightly floured surface to 3/4-inch thickness. Cut into biscuits using a knife or a round, biscuit cutter. Place on a cookie sheet and bake for 10-12 minutes. Remove and served immediately. NOTE: Do not over-mix or you may have tough biscuits. Brushing the tops of the biscuits with cream before baking, gives them a golden finish. 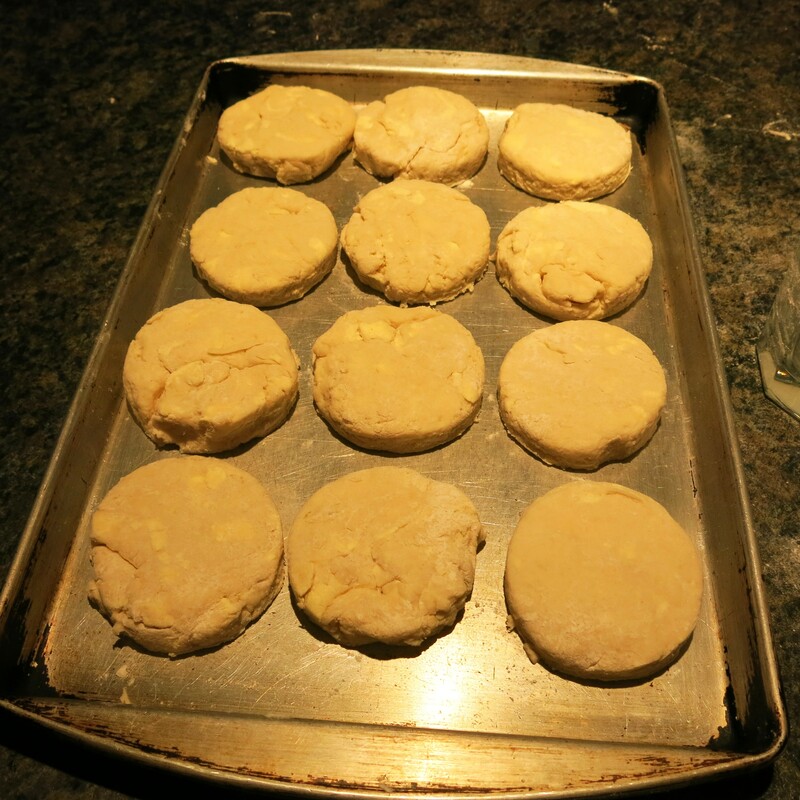 If you have a straight-sided glass, that’s about 2 1/2-3 inched in diameter, that’s a great biscuit cutter. 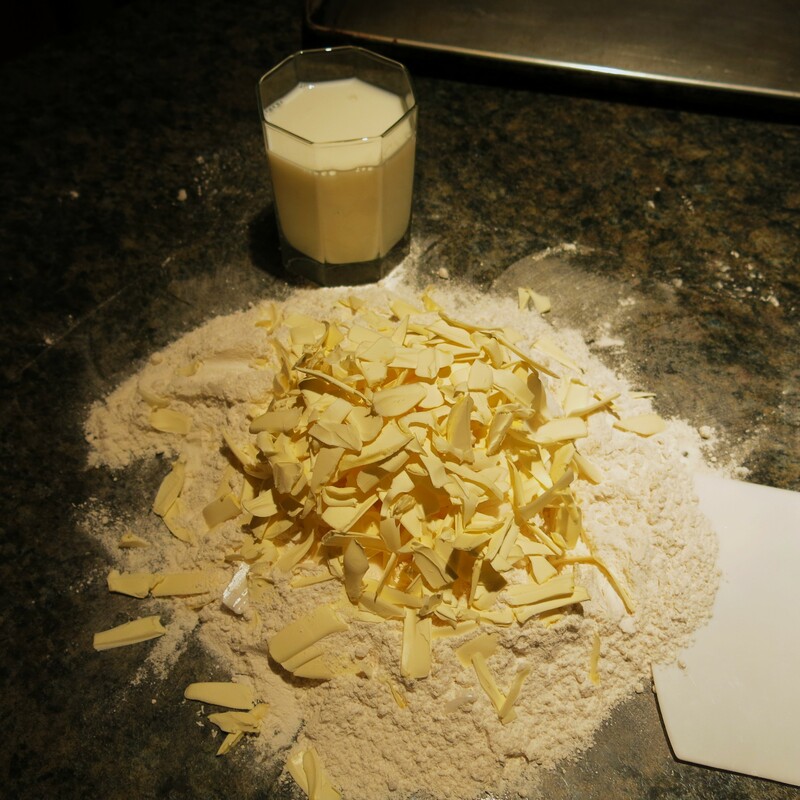 Dip the rim in flour between each cut. 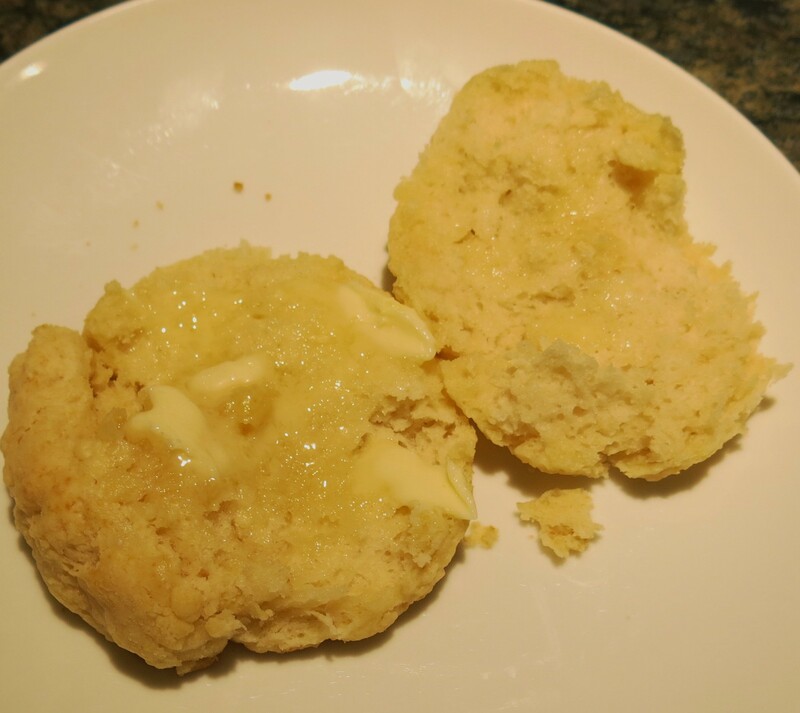 Super Biscuits Recipe©Marcia Lahens 2015. All rights reserved. The ingredients in biscuit recipes are more or less the same, but I have changed the method significantly. Chilling everything really does make the difference between a so-so biscuit and a truly great biscuit. I have used butter and margarine interchangeably; I don’t really see much difference between them in the finished product. I have used solid vegetable shortening instead of lard. The biscuits are softer, but they are still very, very good. Lard does make a flakier biscuit. These hold a very special spot in my heart. When The Latin Lover and I joined forces, this recipe was a wedding gift from the wife of one of my colleagues. She said, “I’m passing a gift that was given to me as a young bride, onto you. Your husband will be eternally grateful that I did.” And she was right! The Latin Lover, and The Sons, love these biscuits and you will, too.